With the start of preseason, the team had a poor tryout turnout with only around 24 players showing up for tryouts. Both JV and Varsity had very little players. But with a low number came a team that could accomplish so much. The Raiders lost games 1,3,4 and 6 in the first half of the season. Their first win was against Woodstock who had knocked them out of the semi-finals last year. All of their losses came from strong teams from D-1 and Stowe. They racked up a record of 3-4 in the beginning of their season. But then things changed, and the Raiders haven’t lost a game after September 22nd. There were a few injuries along the way with senior Sam Thompson, junior Gus Obeldobel, junior Seamus Beall, and sophomore Harrison Bushnell all receiving ankle injuries. 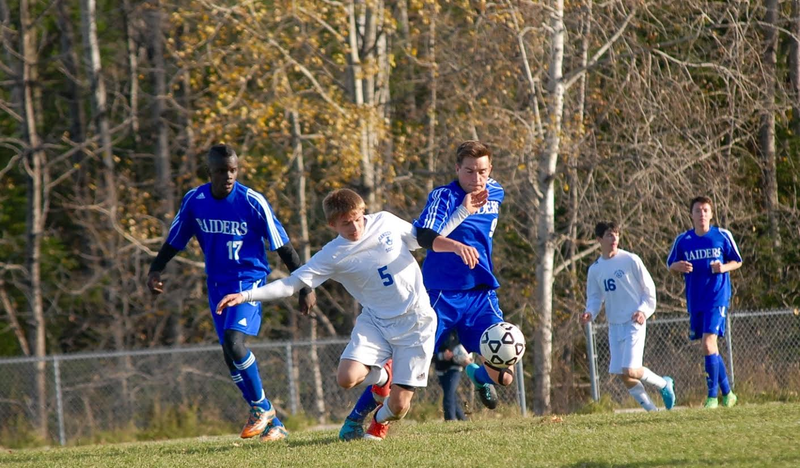 The Raiders started the second half of their season strong by scoring goals and winning games. Their first test as a team was when they had a three day game schedule, all in one week. 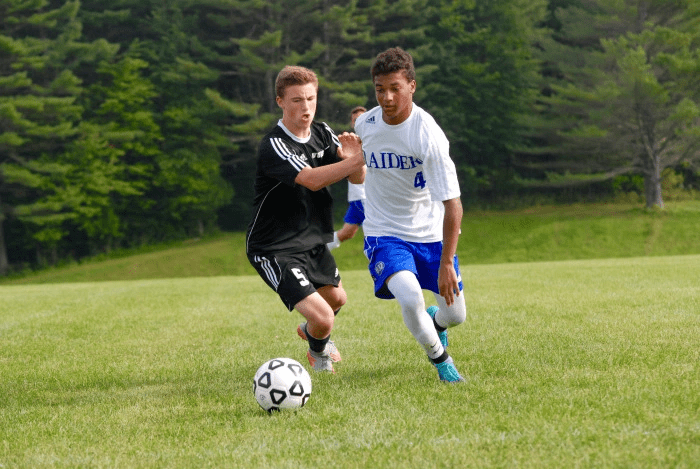 The Raiders won all three games playing against Montpelier on the third game. That was a huge win. The Raiders finished the season in 6th place after that game. The Raiders first playoff game in the round of 16 was against GMVS who they had already played in the regular season. 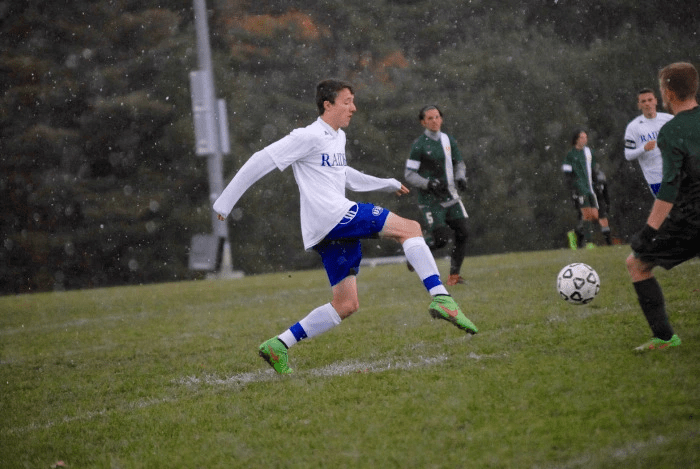 The game ended 2-0 for the Raiders with a close call where a GMVS player took a free kick and scored. The goal was called back due to the player not listening to the official’s directions properly. Their real test came when the Raiders played third seed Montpelier, in Montpelier. The game was close, with the Raiders putting pressure on Montpelier’s defense most of the game. It went into double overtime and ended going into penalties. The competition in the championship game was Woodstock. It was the 6th seed team (U-32) versus the 1st seed team (Woodstock). The game went back and forth for both halves and many chances were created on both sides. 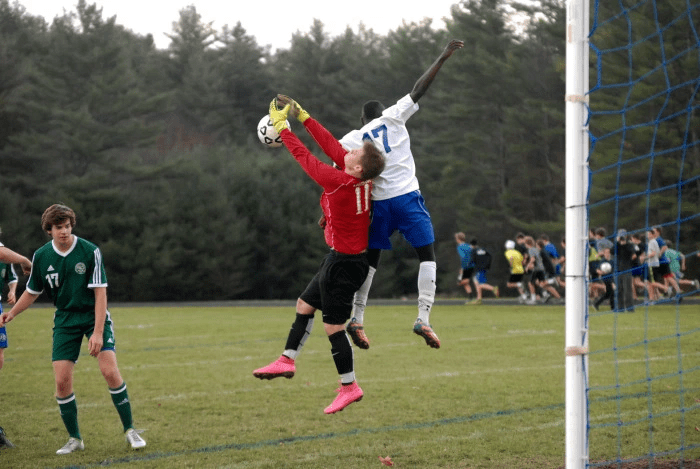 Woodstock’s biggest chance was when they flicked the ball towards the goal but senior Derek Cote denied their biggest chance with a one-handed diving save. The end of normal time and no goals issued the beginning of overtime. The Raiders finished off their season as champions. They brought home the title for the first time since 2008.